I have been on a roll today. 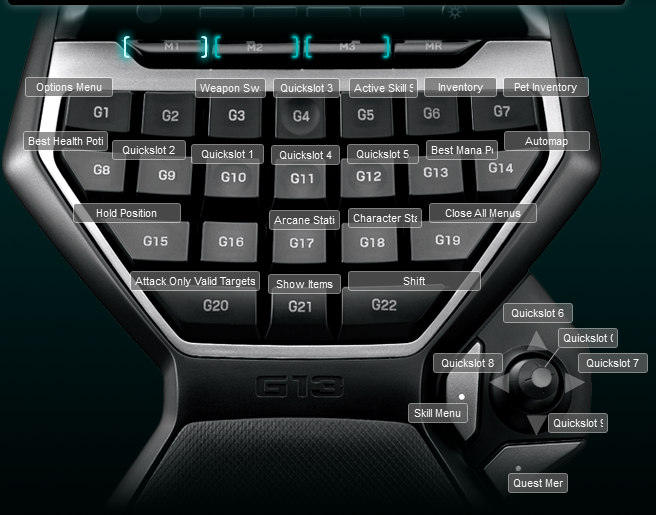 Played some Torchlight 2 and made a Torchlight 2 Logitech G13 Profile. As always I didn’t like the default profile. I placed all the early quick slots in the movement keys and then added the best health potion to G8 and best mana potion to G13. I am not sure about the placement of swap weapon and primary skill, but for the 2 hours I played they seemed to work fine. Below is a screen shot of the keyboard layout.